They’re weird. They’re gross. And they’re TRUE. The freakiest facts on all your favourite topics. This is your ultimate dip-in-and-out book of terrific trivia. 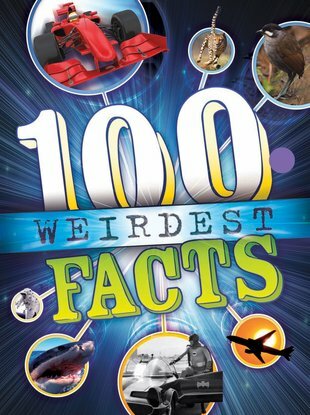 It’s stuffed with massive photos and crazy ‘wow’ facts on top topics, from science and history to animals and the arts. Fast facts on every page hammer home the coolest points. Yucky, fascinating, majorly weird and absolutely nothing is made up.